Whether bright and colourful or textured with interesting patterns, it’s the range of inspiring designs available from Crucial Trading that makes their carpets so great. Add to that the fact everything is made from natural materials including wool, sisal, coir, seagrass, jute and sisool (sisal and wool) and you have floorcovering that doesn’t just look great but does great things when laid in your home. And it’s Crucial Trading’s innovative processes that has forged their success over the years – in fact they were the first to create a sisool yarn, a new blend of floorcovering here in the UK, bringing tactile sisal and soft wool together, setting a new trend in flooring texture. And this creativity continues throughout the ranges as they use yarns in clever ways to produce exciting patterns, bringing something different for homeowners that’s fashionable, luxurious and high quality. Showing: Crucial Trading Sisool Twine made from 70% wool, 20% sisal and 10% jute. One thing’s for sure – Crucial Trading don’t hold back when it comes to colour. From deep darks, subtle pastels and bright lights, anyone looking to put a colourful stamp on a room can find plentiful choice across ranges like Mississippi, Spirit and Audrey. Using the purest whitest wool yarns mostly sourced from the mountainous regions of New Zealand where it’s believed, due to the altitude and seasonal rainfall, the most luxurious wool is produced with a fine texture, strength and purity. It’s the whiteness of the wool fibres that allows Crucial Trading the superior depth of colour for their unique designs. Showing: On the left Crucial Trading Audrey Stripe fitted to a home in Northwich and on the right Crucial Trading Fabulous in Ruby was laid to this hall, stairs and landing in Timperley. Sisal continues to be a popular choice in interior design and Crucial Trading offers more than 20 styles in a range of colours. This hard-wearing, tactile floorcovering features everything from contemporary classics to magnificent versatile weaves. 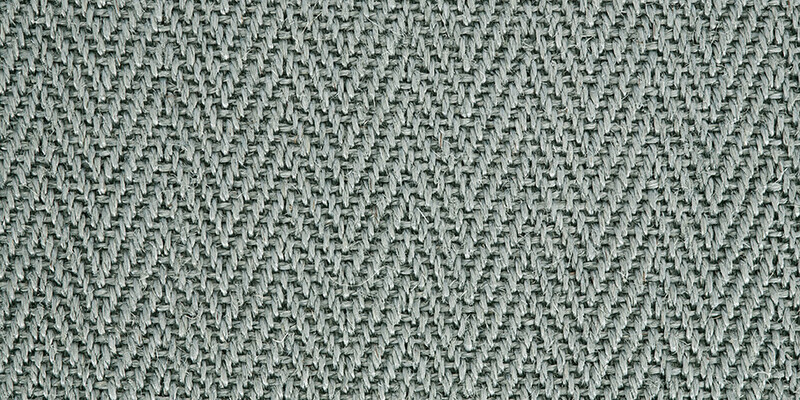 Take for example the Harmony collection in Boucle and Herringbone weaves, which showcase Crucial’s creativity and innovation. Available in a very relaxing palette of cool blues, calming creams and neutral grey tones, there’s something for every modern home. 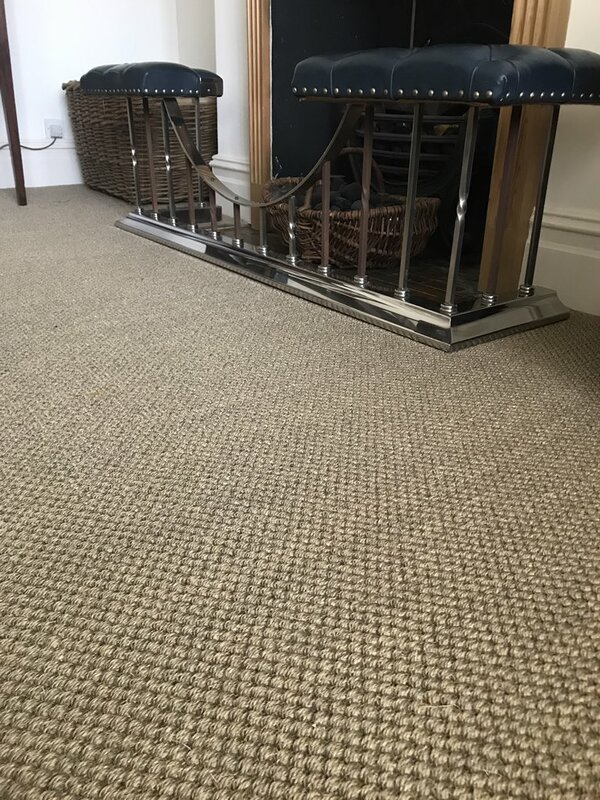 And for the strongest, toughest carpet to withstand the busiest of environments, Crucial Trading’s Sisal Grand Herringbone carpet is ideal. Showing: Sisal Harmony Herringbone in Pacific Blue from Crucial Trading. As well as sisal, sisool and wool, Crucial Trading’s sustainable floorcovering offering extends to coir, seagrass and jute. As well as being 100% natural, the material sourcing helps the economies of rural communities in countries across the world. Arguably Crucial’s strongest, sturdiest material, seagrass is hardy and can withstand all sort of abuse. Before being woven into Crucial’s signature Original, Herringbone and Basketweave styles, it can be found in Vietnamese and Chinese plantations where it must withstand everything from ocean salt, typhoons and the intense heat of the sun. Reinventing itself as a floor covering to grace a home is a doddle in comparison. Crucial’s Coir is made from the strong fibres of the coconut husk handpicked along the Keralan shoreline. Once softened in water for 10 months, they are beaten to separate the fibres, before being dried, cleaned and spun to create flooring as inviting as its original setting. 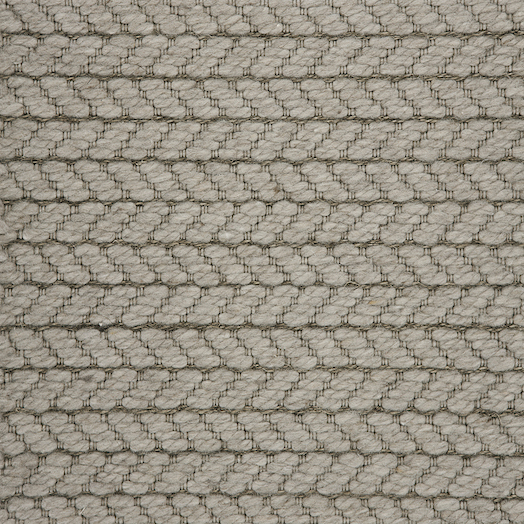 With its tweedy look and softness underfoot, jute is popular in living or bedroom environments. Found in Southern India near fertile, coastal waters, the healthy green Jute stems explode during monsoon season. The natural fibres are finer in texture than other organic materials and Crucial weave them into a collection of gorgeous, classic designs from herringbone to the fabulous Ju-tweed. Showing: Crucial Trading Sisal Oriental in antique gold, installed to a front room at a home in Altrincham. From all the collections across the Crucial Trading natural flooring range, you can have your own rug made. Whether one of the bright coloured wools or natural materials, simply choose your rug centre from the Crucial Trading Collection, then pick your border from cotton, leather, linen or suede before selecting the piping colour and confirming the dimensions required. Of course, if you’d rather see, touch and feel the best material for your rug, come into our Bowdon or Knutsford showrooms to design your rug with the help of our flooring experts. 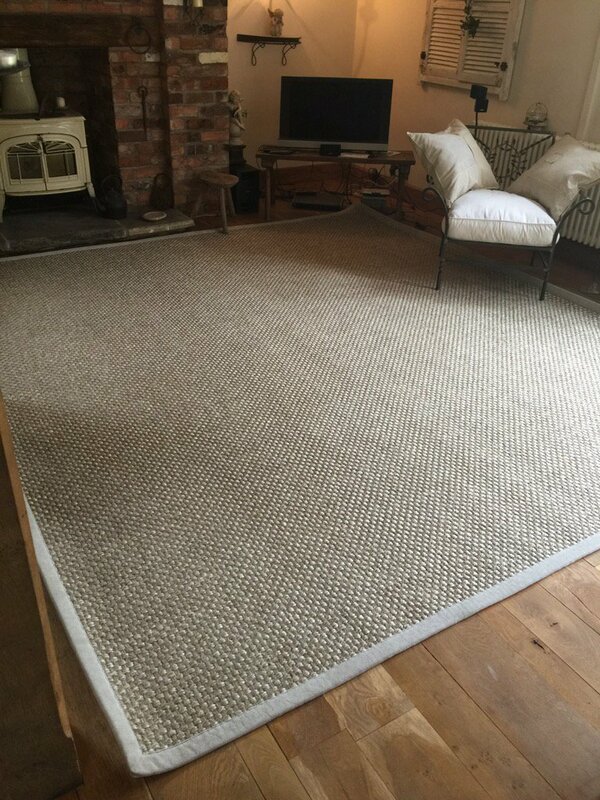 Showing: A bespoke Crucial Trading sisal rug delivered and installed for a customer in Alderley Edge. You can see samples of all the styles in the Crucial Trading range at our Bowdon and Knutsford showrooms. We can help you design rugs as well as talk you through the best material to suit specific rooms in your home. For a Crucial Trading floor covering quotation, contact us to arrange your free, no obligation survey. We are getting busier as the Christmas period approaches, so don’t leave it too late!